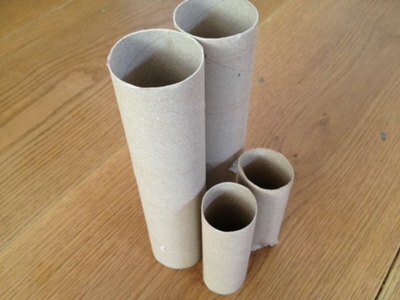 Anyone with young children soon learn that the humble toilet roll tube can provide endless fun. Peer through it as a telescope or double up to make binoculars. 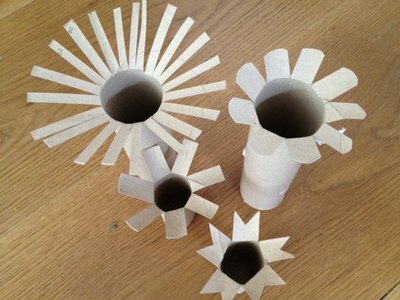 Make toot toot noises as a trumpet or decorate it into just about anything your child can imagine. They also make cheap and fun stamps to make painting lots of fun. 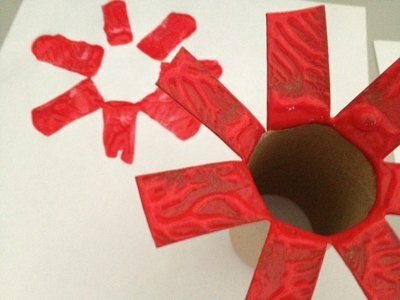 Time: 5 minutes or less to make and as long as you like to stamp with. 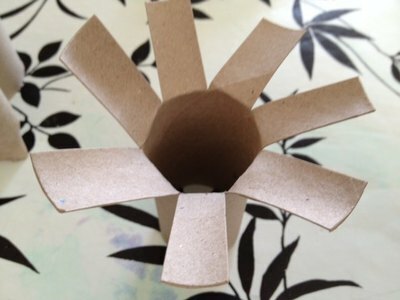 Cut slits around the toilet roll tube. You can experiment by cutting them at different distances apart and different depths. Bend out the flaps you have created. Trim the ends of the flaps into different patters. Keep it simple or a little fancier. 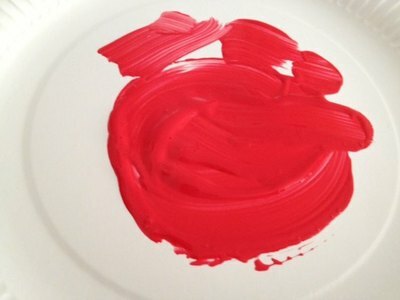 Put some paint on a paper plate or other suitable surface. 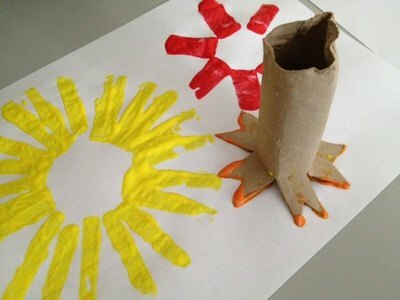 Your child can now dip the flappy end of the toilet roll tube into the paint and stamp away on a piece of paper. 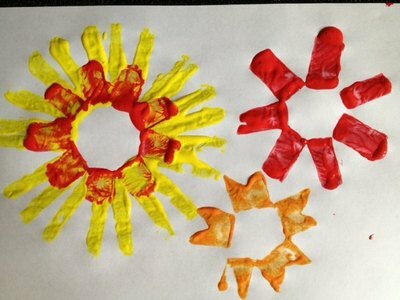 You can have lots of fun trying different patterns and colours of paint. Perhaps you could try stamping onto a greeting card as an abstract design or turning it into a picture by adding a few extra details. The stamps would make great flowers or a sun. This idea would also make lovely Birthday or Christmas cars, for those who enjoy making their own cards!